Vintages. Can't live with `em... pass the beer nuts! The question of whether or not wine vintages (the year printed on the label, which is almost always the year when the wine's grapes were harvested) matter is one that often perplexes the budding wine enthusiast. Is it a "born on" date? Or an indicator of quality? 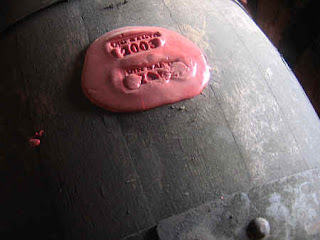 Or a deciding factor in how long (or if) a wine can be aged? Here's the honest truth (well, the truth according to the 1WineDude, that is) about wine vintages: For the most part, the wine vintages printed on the label don't matter all that much. 99% of wine sold today is not meant to be aged. Most of the wine that you encounter is meant to be enjoyed within 6 to 18 months of the vintage. 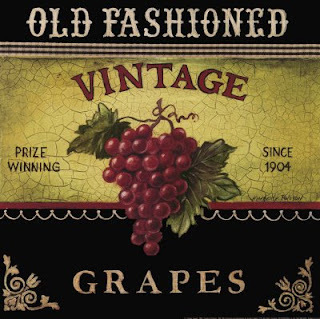 In this sense, the vintage year functions more like a "born on" date - if someone is trying to sell you a really inexpensive older vintage wine, it's probably because they want to pawn off their remaining stock of that vino that's won't otherwise sell because it's past its prime. Does this mean that the wine will magically turn into vinegar at the stroke of midnight 18 months after the vintage date, Cinderella-style? No - but thanks to the miracle of chemistry, there's a good chance that the fruit characteristics of the wine will start to dissipate after that time. For the majority of everyday drinking wine that you might buy, you can set a mental note to enjoy it before its second harvest birthday. That way, you will get a chance to sample those tasty fruit flavors before they disappear. For the most part, the wine vintages printed on the label don't matter all that much. Modern wine-making can turn even poor harvest years into decent (and sometimes great) wine. Many moons ago, before the advent of versatile solutions for modern living that we take for granted today (like refrigerated transport, temperature-controlled fermentation tanks, and best of all those nifty little laser-pointer flashlights that can fit on your keychain), winemaking techniques were not as advanced as they are today. As a result, the conditions of a particular harvest year (weather, economy, invasion by the Huns, etc.) could have a dramatic impact on a wine's quality. While this is still true today to some extent, the stability of most of the world's major winemaking areas, coupled with ultra-modern winemaking techniques and technologies means that consistent producers can churn out decent everyday drinking wine even in poor harvest years. In my experience, this has even been true for some fine wine in "bad" vintage years from regions with consistent weather (like California - Opus One's 1998 blend is a good example of this). So when does a vintage really matter? Vintages do matter when you're splurging on a fine wine purchase from a region that has a variable climate year to year. The most famous example of this being red Burgundy, the fickle Pinot Noir areas of France that can produce wine tasting like sublime berry seduction one year, and rotten cabbage the next. If you're going to shell out the coin for something special (either for drinking now or laying down for a special occasion later), it can't hurt to do a little vintage homework. I recommend using the mobile vintage chart from BBR.com, which you can reference right from your web-enabled cell phone while at your local wine shop. This can help you to gauge the relative quality of a vintage for a fine wine purchase. BUT... don't steer clear of a vintage entirely just because it's been deemed of lesser quality than a previous year. Why? You can miss some amazing bargains that way - these vintages are like a lower stock value; it's time to buy. In an "off-year" you might have access to quality wines that might normally be out of your comfortable price range, and it's a chance for you to explore the winemaking styles of great producers without totally breaking the bank. Vintages do matter when you're splurging on a fine wine purchase from a region that has a variable climate year to year. The most famous example of this being red Burgundy, the fickle Pinot Noir from France that can taste like sublime berry seduction one year, and rotten cabbage the next. The majority of my fine wine purchases have been in "bad" vintages - I scoop that up like a day-trading stock hunter! The bottom line is that a passionate producer with talented staff and a history of great winemaking will still make impressive wine in an off year. They may not be wines of sublime perfection, but they sure as hell won't be bad, and they have the potential to totally knock your socks off. Your comments are right on winedude, particularly your point about great bargains being had for wine from "bad" vintage. 2. because their wines they buy are less vintage sensitive (i.e. the best producers often have the resources to overcome a bad vintage. So, vintage ratings would seem to be most pertinent to the average consumer, who really doesn't have easy access to the information. Actually I did a little research and came across a website that sells, what they call, consumer-friendly wine vintage rating cards, pocket sized rating cards that fit into your wallet. I ordered one. Will comment again once I get it.